We take our children’s programming seriously at Sunset Athletic Club. 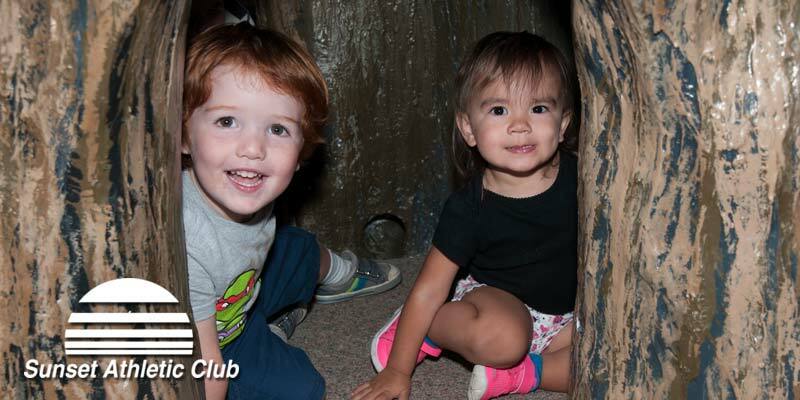 Kids of all ages will find a place to learn, grow, stay fit and have fun! We offer Kids Korner child care in the Athletic Center. 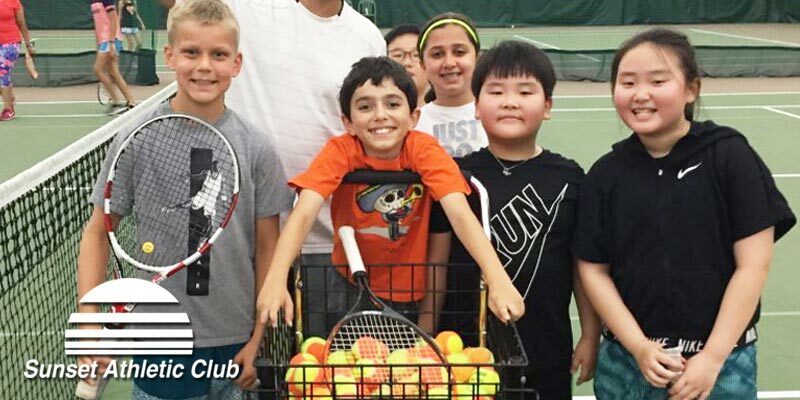 Sports lovers enjoy our exciting youth programs featured all over the club. From tennis and racquet sports to swimming, climbing, basketball and more! Serious athletes can get serious training from our Pro-Staff or in classes and clinics. Plus, you can always just relax, meet new friends and have a great time. Staying fit and healthy is your free bonus! 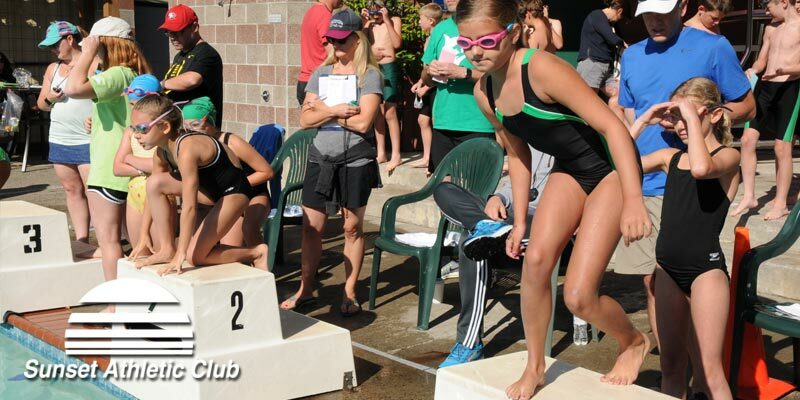 When the schools break for summer, our Sports and Activities Camps spring into action! We provide a safe, active and fun environment where your child can enjoy adventures with others in their age group (Squirts Campers ages 4-6, Sports Campers ages 6-10). Our coaches provide fun, energy and leadership for a summer full of great memories! We will play a variety of sports including, but not limited to; Basketball, Soccer, Climbing Wall, Racquetball, Swimming and Tennis. SPORTS CAMPERS will swim in the indoor pool (this is not a swim lessons) and use the Climbing Wall. Both of these activities require parental/guardian permission. Feel free to discuss this with camp staff. Our adventures range from sports, water-play and rock climbing to circle games and relays. It’s always about friendly activities where everyone wins! Participation in Climbing Wall requires parental/guardian permission. (Squirts Campers will not be in the swimming pool). Please contact your child’s coach if you have any questions. Your child will need a lunch Monday through Thursday... we celebrate the last day of camp with a pizza lunch! Unique entertainment to fill the late afternoon! Upsized FUN: Jump House, Kid-Sized Video Games, Scooter Board Hockey tournaments, Omni Ball, Climbing Wall and more! Friday is Crazy Coaches day. We wrap up our week with Summer Snow Cone Comedy! Participation in Climbing Wall requires parental/guardian permission. NEW Complimentary* Fun & Games Hour! Bridge the gap between 1:00 and 2:00 pm Camps. Drop-In anytime during the hour and play games in our Movie Theater. 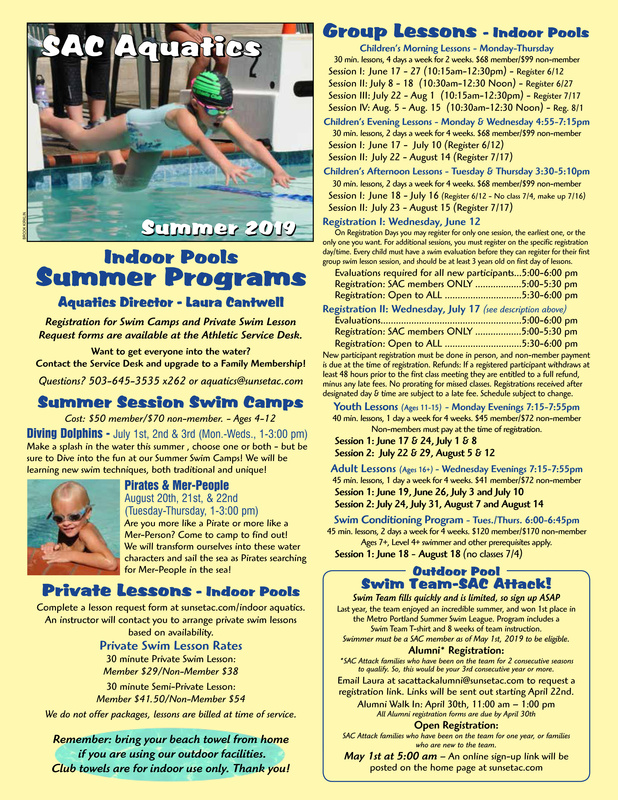 All Sports and Squirts Campers are also REQUIRED to have on file a Climbing Waiver and all Sports Campers will need a Pool Waiver. 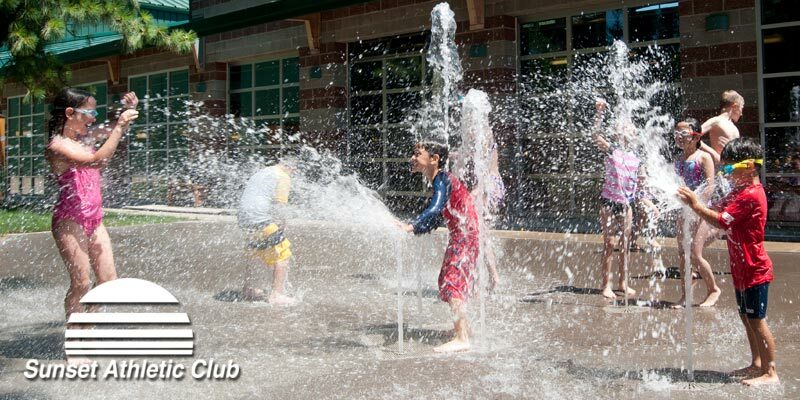 Squirts Campers do not need a Pool Waiver as we do not go to the pool. See Registration Form below for all Details and Camp Regulations. Please drop off the Registration Form along with signed Climbing Waiver* (and Pool Waiver for Sports Campers) at the SAC Service Desk. 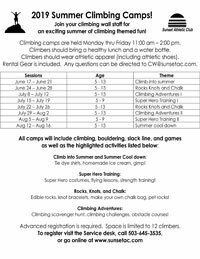 All Summer Camps include lots of climbing, slack-lining, and theme-specific activities each week. Camps are safe and supervised. Register today, these camps fill up quickly! Rental gear is included. Bring a healthy lunch & water bottle. 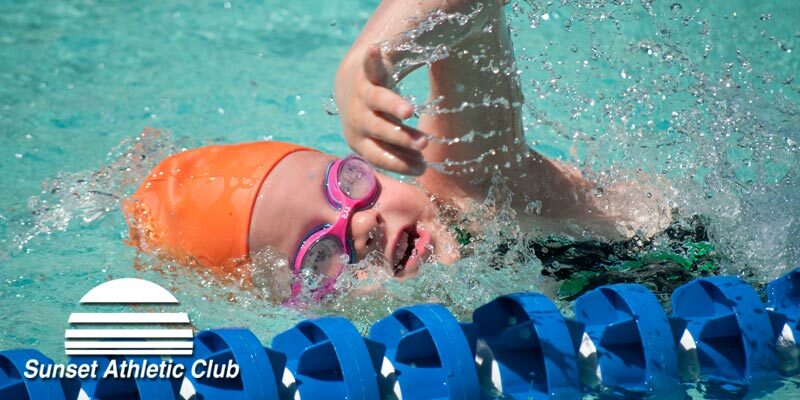 SAC offers MANY options for kids all summer long, from camps and lessons, to our SAC Attack Swim Team! 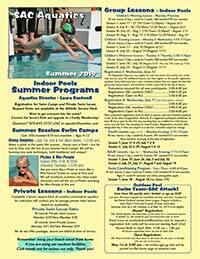 Make a splash in the water this summer , choose one or both - but be sure to Dive into the fun at our Summer Swim Camps! We will be learning new swim techniques, both traditional and unique! 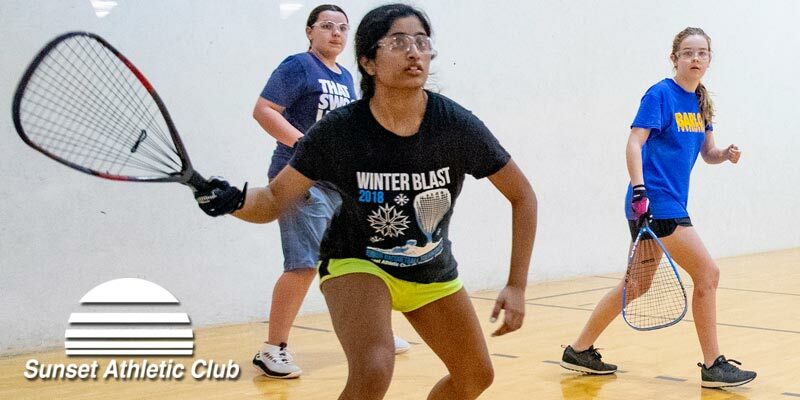 Classes taught by Tennis Director Niren Lall, and Pro’s Michelle Aman, Nathan Ramos, Tim Smither & Kristi Somers. Players are grouped and taught according to experience: Beginner, Intermediate and Advanced levels.